This entry was posted in Connecting with Community, Food Glorious Food and tagged citrus, food, frugal, lemons, locavore, Orange and Coconut Cake, pumpkin, recipes, ribollita, seasonal, slice, sydney, winter by cityhippyfarmgirl. Bookmark the permalink. Charlie I would have been proud too. The Monkeys to their credit do a fair amount of ‘green’, just not in a soupy fashion. Celia, how wonderful to have that all coming out of your backyard. Kilos of carrots indeed! Oh Brydie…how I wish you would just turn up here and cook for me !! Your cooking is comfort food personified! Love the look of that cake! Wouldn’t that be good Kim. Once a week someone comes in and makes a meal from the ingredients you have in your fridge… maybe do the dishes too. All of those sound lovely. I would be happy to have anyone of them made for me! Tonight pumpkin is the star as the 14 yo is making an indian style curry with it. Smells yum. Lisa I really am looking forward to the time when my little people aren’t so little and they can cook for me. An Indian style curry sounds great. I really like it when bloggers do posts like this – such consideration are extremely important. Seasonal vegetables are the best way to frugality 😉 and also deliciousness. A huge amount of money can be saved by eating seasonally can’t it. Not to mention it tasting a whole bunch better! I’d take the ribollita that your children wouldn’t eat 🙂 We’re also into mandarins and also crisp apples…as well as porridge, and a new found love for baked and stuffed potato. They’re beautifully warming on cold nights! The mandarins are lovely at the moment aren’t they. I like them eye squinty tarty. 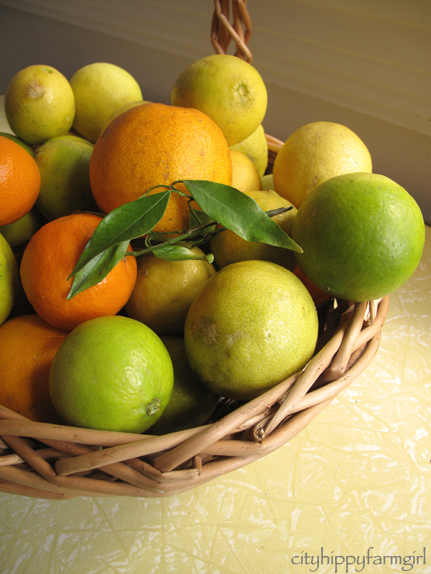 You’re so lucky to receive citrus fruits from your dad’s backyard! Such a glorious, sunshiny gift. Here, I have plans for an enormous spinach/cheese pie spanakopita style using up some of our silverbeet. The young people of the house will turn their noses up, so it will need to be encased in copious amounts of puff pastry..(to which I shan’t complain). Hmm, yes, leeks..lot’s of leeks here, a great onion substitute and as we have a steady supply of eggs coming in, it’s custard in and on everything! (chocolate custard in the slow cooker=yum!). Christine it”s lucky I don’t live near you. You would probably find my nose squashed up against your kitchen window in hope of getting a few scraps. Yum Mel! What will you do with the syrup? I make a similar cake but it’s lemon and coconut and ‘iced’ with lemon curd. To.Die.For. Our strawberries aren’t in yet, but I’m already looking forward to when it is. That citrus is amazing and to think it’s growing in your father’s garden. What are the big green things – limes? Now our organic shop has closed down I can’t get organic oranges or lemons any more and I really miss them. That is a happy thing C. There is nothing finer than a good tomato. That cake looks particularly good. Great recipes in today’s post Brydie. I am picking Cavolo Nero kale from the allotment at the moment and I’m always looking for new ways to use it. I want to give the Orange and Coconut cake a go as it’s an interesting recipe – using the pulp as well. The pulp keeps it lovely and moist Jean. Plus, you don’t have to waste any then. 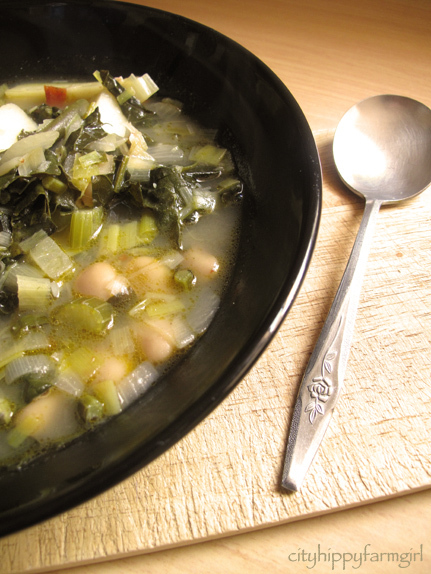 We had minestrone last night along similar ideas to Jamie’s recipe. Don’t forget new season apples and strawberries, in the greengrocer’s yesterday I could smell the strawberries from several metres away. I haven’t found any strawberries yet, but am looking forward to them! That’s always a good sign of a perfect cake! Brydie, what a beautiful couple dishes there on your table! Love the sounds of the what’s-on-hand-and-fresh?-soup, and your citrusy cake looks won.der.ful! It’s always a bit funny to me, these upside down seasons of ours, but I love seeing what’s happening in opposite parts of the globe! It was Lovely stopping by! Have missed you! Spree I agree, I can never quite get my head around the whole opposite seasons thing. 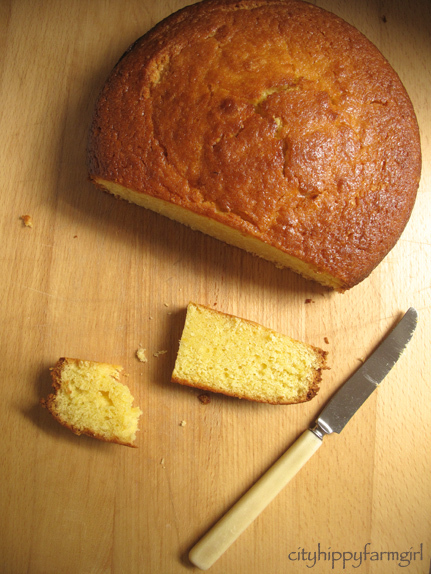 The orange cake sounds like my kind of dessert…simple but flavorful. I’m with you about looking forward to each season and the different foods we cook. Super easy cake, just takes a little while to cook. Anything with silver beet, pumpkin and goat’s cheese pizza, leek and chicken pie and lots of mushrooms. Apples and mandarins for snacks. The orange with coconut cake sounds delightful and reminds me of ambrosia. I’ve never tried ribolitta but it looks great. Ribolitta is a lovely warming winter dish. Keeps your belly happy over a couple of days. Great pics and I do like the look of that cake! 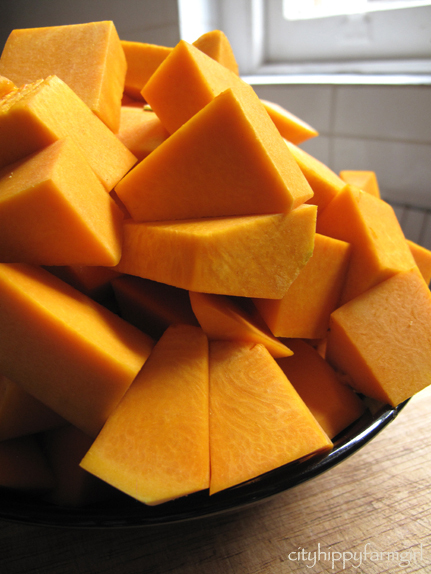 I haven’t used up my pumpkins yet and thai pumpkin soup sounds good! lucky thing with all those pumpkins!